Grocery bagging is an art, and Trevor DeForest is its Michelangelo. The Maquoketa, Iowa grocery bagger on Monday was crowned the champion at the National Grocery Association’s Best Bagger competition in Las Vegas, the Des Moines Register reports. He has worked for Fairway supermarkets for 21 years, and is currently the assistant manager at the 110 Westgate Drive location in Maquoketa. That’s right: style. 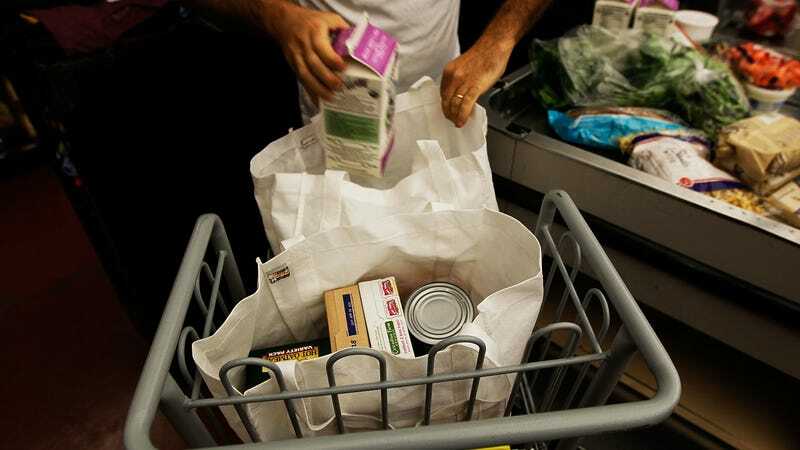 Any shopper who has wound up with a tomato crushed under a can of soup at the bottom of their bag or experienced the elation of perfectly interlocking boxes of cereal knows that there’s more to grocery bagging than meets the eye.